So, the website that I visited 5 days a week, and read at least 20 pages each time was going to close… I have quite a few years experience online, but only joined the oil and gas business at the start of 2015, a few months into the worst crash in decades… Oilpro.com was my source of information and education. Over the past 2 years, I practically spent my apprenticeship or the equivalent of an MBA perusing those pages. I spent a lot of time contributing, asking questions and cracking a few jokes… I felt, and still feel a connection to at least a few hundred people, mostly complete strangers in ‘real life’. In fact, I never worked for, got paid a penny from, or even met a member of the Oilpro staff. I was drawn to the community because of the level of engagement, openness and the fact that the articles there, were so authentic. Of course, there was some fake news, uninformed opinions, and occasional nastiness just like in any group of people, especially large groups such as the 650,000+ people who had signed up there. Whilst most regular readers and contributors were aware of some legal issues in the background, we still showed up because of the community. I for one, never expected the whole website to close down. The thing that I liked most about this oil and gas social media community website is the fact that anyone could post without permission. There were no gatekeepers. Unlike generic social media channels, where the posts got lost in the ‘feed’, or the ‘stream’, each day there were a set number of alerts that would go out in an email. This meant that each day, hundreds or thousands of peers would review the post. If you weren’t sure of the accuracy of the ideas during the post, you probably were by the end of the comments section. The forum had its faults but will be missed by me. This draft was written a few months ago after reading some comments where an obvious expert was criticized for mistakes in their grammar, spelling or punctuation. I felt strongly that experts with average English skills but insightful knowledge and critical thought skills were more worth reading than someone with only honed writing skills. Then recently, the topic came up again in one of Arthur Berman’s updates titled ‘The Brain-Dead State Of Oil-Market Commentary’. I was still reluctant to publish this article because whilst I have a strong opinion on the subject, I am not an expert or a journalist. People might think – What the hell do I know? In the comments, some of my favorite writers here at Oilpro commented that their posts were not getting any views. Whilst censorship was suspected I think that David Kent was being completely honest in that the email newsletter syndication had been overlooked by new staff. Whilst Jeff was a good writer, and Joseph was probably irreplaceable, I expect that Jess and Jonathan will do just fine as they settle in more. So, yesterdays comment feed pushed me to get this article published. It has been a long time since the physical newspaper industry started to struggle. Why? The internet of course, why page through a newspaper looking for a nugget of interesting information when you can do a quick internet search for the latest developments about the things that interest you? For a while, online newspapers dominated, the only challenge that they had was the ability to monetize the page views. Information seems to want to be free on the internet. It might be THE most common online business tactic, for people to give information and advice for free, in order to build goodwill. This, in turn, builds reputations and core businesses. Sounds obvious, but if you are required to write 10,000-15,000 words per day on multiple topics, how can you keep on top of each industry that you are writing about? You can’t. How can you keep the quality high? So that every post is your best work? You can’t. If you are a journalist then you will be very good at spelling, grammar, and punctuation. Practice makes perfect, I also imagine that being in a competitive business with tough editors might also help you raise the bar. Journalists create a volume of good quality, mostly technically correct articles. These experts can be interviewed or quoted by the journalists, but if I am really interested in the topic, I will go straight to ‘the horse’s mouth’ to get my information. The information will be targeted and in context. Suffice to say the expert articles are less likely to be as polished as the journalists. They might be a bit wordy or complicated. There might be a few typo’s, repeated words or other errors. I prefer the raw feedback over the polished, edited version from people who are not experts on the subject matter. … Is that anyone can appear to be an expert, a fancy looking website might fool us into thinking that one source is better than another. Anyone who has seen ‘quotes’ from historical figures about modern technology, or any kind of outbursts that are completely false will tell you that you can’t always believe what you see on the internet! Of course, you can’t. In fact, we shouldn’t believe anything that anyone tells us without reserving the right to use our brains to decide the accuracy of it. Which brings me to my point. We now have the opportunity to post articles freely without the bar to entry that we had before the internet. The whole world can see them. Even better than that, any expert can post in a place where the material can be reviewed by a panel of peer experts. These experts can freely post their comments and engage in a debate which is often more valuable than the article itself. (Especially here on Oilpro.com). 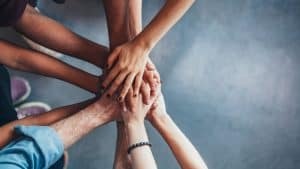 By open debate among experts, combined with the ability to up-vote, encourage and thank those who are helping us with their experience, we can get to the crux of the matter in a way that was previously impossible. We can always improve our writing and communication skills but they are not important as long as we can get our point across. Online expert communities are the future of news dissemination. Factually incorrect and even foolish comments should be welcomed so that we can hone our skills of critical thought. We can also help those who are incorrect on a matter. Thanks to everyone here at Oilpro, this article was for you. Thanks for the article, Jason. Although I have my share of typos and outright errors, I am willing to edit the articles of others if they might be afraid to publish due to grammatical errors. If anyone wants me to edit, just publish the article and send me an oilpro message with the link. As a moderator, I can make changes without special permissions from the author. The expertise on oilpro has probably taught me more about our industry in 1.5 years than I learned in the 25+ years before that time. I would hate to lose more information because someone is hesitant to post due to an unimportant consideration. That’s great Don. This is the reason why I wrote the article, to encourage people who have something valid and potentially valuable to say – to say it. To not be put off by fear of ridicule or the grammar police. 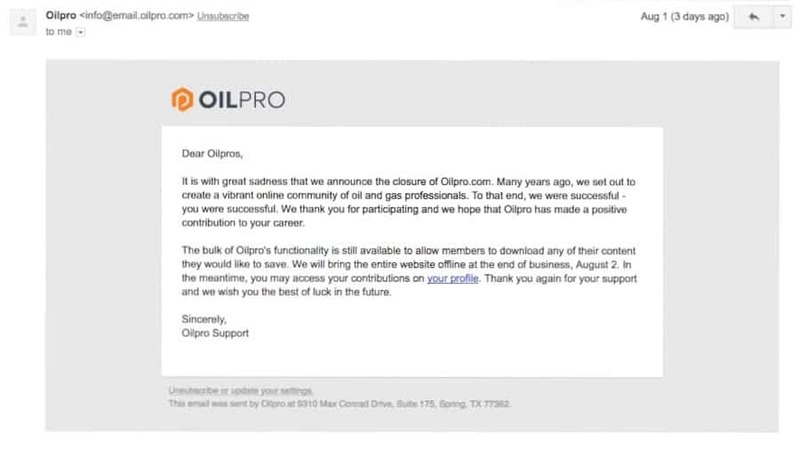 I also wanted to send another signal to ‘the management’ that this is what has made Oilpro great and has caused people to quit other oil related forums and websites in droves. By not adding contributor articles to the daily newsletters the good ship Oilpro had started to veer off course. Here’s what I’ve learned about most ‘experts’ … they’re (almost always) has-been drips. And it doesn’t matter how many ‘peer reviews’ that ‘expert’ has pinned to his or her wall. There is no such thing as an “expert” in the ‘broad sense of the word’, either one is, or one isn’t. In the event you’re unaware of the antonyms for the term “expert”, here are just a few: “amateur”, “apprentice”, “environut”, “ignoramus”, “novice”, “rookie”. It should go without needing to be stated, but there are additional not quite so politically correct. And, without digressing too far, it just so happens that most of those who view themselves as “experts” are, in fact, in amongst those antonyms. Further, how “you” want to define a term that is already clearly defined, definitely shows a lack of “expertise” in establishing standards for “expert”. If you want to in-follow me because I refuse to engage in the equivalent of arguing how many Angels can dance on the head of a pin, well that’s not going to disturb my nights’ rest one little bit. Just to be clear, I understand and agree with both of your comments. I also have no desire to debate meanings of words and categories, antonyms or synonyms. My reply to you was intended to be friendly and humorous. I didn’t actually think for a second that you would consider writing an article about different types of experts while referring to yourself as a thought leader. The idea that I would actually suggest that in seriousness (or that you would take it that way) is obvious comedy to me. This is why I also put ‘Warning:’ – as if anyone would seriously warn someone that they might un-follow them. IF, on the other hand, your comments quoting dictionary definitions, and other English language teachings are also meant in humor, then you are the master of irony and I take my hat off to you. (One of the main points of my article was for us not to be afraid of mistakes in spelling, punctuation etc). If your comments were both meant in humor then you got me twice! And there lies the problem, in ‘journalism’ for the masses, your ace reporter does NOT hesitate to pass him/herself off as being an “EXPERT ON EVERYTHING”. Today, they pass themselves off as rocket scientists, yesterday, they were the “go-to experts on man-made global warming”, or in the case of their ‘reporting’ on our business, THEY are the ones who continually describe the oil and gas companies as “drillers”, and refer to “fracking”, as a “drilling technique”. These are same people who come dangerously close to practicing medicine without a license whenever they do a ‘story’ on medicine or medical treatment. I honestly believe that most, if not all of the un-named “experts’ that they quote, are nothing more than them inserting their own opinion into the story, just like they manage to cover their asses by the use of such words as possible, might, maybe, or could, in most of their stories, words which make their ‘story’, nothing more than conjecture, rather than the factual coverage of events. Most of the ‘journalists’ and ‘reporters’ for mass market media are there only because they cannot get a real job, because of their lack of intelligence. Good article Jason. I’ve stopped being overly concerned about grammar errors, and I am sure there will many in this short comment. My daily industry fix is undoubtedly social media blog sites pertinent to the subjects I follow. Journalists are almost always factually incorrect. We see it clearly as subject matter experts, specialists, or even as enthusiastic followers. It must, therefore, be true of most journalistic content. But as with all sites, the content becomes dull and repetitive without a constant stream of new authors, and those like yourself who are new to the industry but fascinated in how it works, and relates to our everyday lives. Good argument Dear Jason especially when it comes to a person like me (decedent from Egyptian peasant family). Despite studying Shakespeare and Dickens, English remains a second language. I feel quite comfortable to receive the editorial support from Jess and Jonathon the same as I used to receive from Elizabeth and Jeff. It appears as an Oilpro culture. My first post on Oilpro was edited by Elizabeth and, WOW ! on the added value of the style, the words… Again just yesterday, I made a post and a few hours later Jess came back to remind me to add an introduction. Let’s just go with he basics 1) there is always room for improvement. 2) Team integration improves the results 3) a mediocre initiative is better than nothing. Thanks for commenting Fawzy. You are right with your 3 points. With the mindsets of continuous improvement, better teamwork, and more effort, any organization thrives. To use a sports analogy, we move from having a good coach and a star player, to being a world class squad. You need to know what you really want, and on the other hand, you need to be open minded critical thought skills were more worth reading. Consider any opportunity even if it is not what you think you want, Not only this help you decide your place, it will also be useful later in your career as you will have a global view on your place in the industry and help you collaborate with various stakeholders. Jason, You are dead on. You have hit upon the primary reason we invented Oilpro – to give the true experts a voice. The Oilpro Staff would love nothing more than to simply be in charge of assisting the real experts with their content. We are more than happy to help with grammar, spelling, etc. Like writing a book, the author needs an editor to run cleanup. We are happy to do that and have done so in the past. Do I miss Joseph’s equity research? Absolutely. But we have several equity analysts that are contributing today on Oilpro. There has been a bit of lull with a changing of the guard here at Oilpro but we are getting our feet under us again. Basically, we are still in a place where we have to reach out to our contributors to get their latest and greatest content. It does not always come organically, like your article. Compare Oilpro’s Q&A to http://stackoverflow.com/ Stackoverflow is a Q&A for software programmers and it is a vibrant community of industry specialists helping each other and sharing knowledge. Check out this page on the new Oilpro leaderboard for answers, http://oilpro.com/leaderboard/answers. These are Oilpros answering others’ questions and earning reputation points… just like on Stackoverflow… but for the oilfield. We need help with adding questions as well as finding people to answer those questions. This will be a great resource on topics ranging from drilling engineering to subsea processing to proper mooring techniques to the digital oilfield…. the list goes on. 30,000 people have signed up to Oilpro in the last 30 days. That is basically the entire readership base of many popular O&G magazines acquired in a single month. That puts Oilpro at 650,000 members. Something good is happening but we can always do better, and we will do better. Jason, Would you like to be an Oilpro Moderator? Once an Oilpro Moderator you will have more tools to moderate, edit, and approve content on Oilpro. PS – I am sure this very long comment has numerous spelling and grammar mistakes. I don’t get an editor… tears. Thanks, David, I was nervous about hitting the post button for a few reasons. For example I didn’t want to criticize journalists in general, in fact, I hold investigative journalists in high esteem, on par with doctors, teachers or other important roles in society. I also realize, as James pointed out, many ‘experts’ do not deserve the distinction. I understand and appreciate the “changing of the guard”, and the “lull in contributions” points. If you are running email click analytics you will be able to see that I read multiple articles from every single email newsletter that you publish, so I understand what has been happening this year for your website. The Q&A forums are an excellent addition, as too are the new leaderboards and point systems in place. In fact, I am only active on 2 forums online, this one, and one for WordPress Developers: https://premium.wpmudev.org/ The private WordPress forum is exactly the same as stack overflow. Every single article or long comment online will have perceived mistakes in. I just spelled ‘criticize’ and ‘realize’ with a ‘z’ instead of an ‘s’ which will make some of my fellow Brits spit out their tea in shock and disgust! Those who notice mistakes and miss the message need to get over themselves a little. Regarding the moderator role, I would be honored! Check out the homepage of Oilpro. Your article is the lead story. 2nd story is the always insightful, Art Berman’s, “Saudi Permian”… a must read as well. An “Expert” is paid to solve problems and report data. A “Journalist” is paid to make sense of the “experts” findings to everyone else in words and photos. Journalism is a business with deadlines and is now driven by “shares”, “likes”, “views” = ratings. Journalism has evolved from print sales to digital shares. Journalists rely on experts, and experts sometimes rely on journalists depending on the experts’ agenda. That’s correct Dejan. Now with the internet, the lines are all blurred. For example, a journalist and an expert can both have a personal blog and social media accounts in addition to their company ones. An expert can publish directly on to official news media platforms, without a journalist. Experts often court media attention and journalists seek outreach from experts for example on the Help and Reporter Out website. @JasonLavis: With the digital platforms, there is a lot of overlap (i.e journalism vs experts). In addition, there are a lot of “citizen” journalism, usually untrained journalists reporting on various news events. The problem here is sources are not checked, biased treatment of data, and little to no code of ethics adhered to. Much of my work is that of a photojournalist for professional cycling events. Sometimes I am asked to put words together for these events. The problem when double dipping is your work becomes diluted on both ends…facts are loose, and photographs are not capturing the whole story, plus you have two different deadlines which tend to be within 2 hrs. I guess what I’m driving at is even though experts can be journalists, “journalists” make for better journalism. Just my take. Very good post Jason. I like to read my local paper for the local news but for finding facts and seeing both sides of a story you must use the Internet. I think the worst for only telling one side of a story is CNN. They take a story and bring in so-called experts, then beat the story to death, always staying on one side. For example they would make big news saying that the Palestinians had fired a rocket. This is what the American people want to hear, bad, bad Palestinians. They don’t tell you that the Israelis have destroyed 600 Palestinians homes in the last few weeks. Making 800 people homeless, half of them children. They don’t tell you that the Israelis have 414 children in jail for throwing stones. They get 10 years in jail for throwing stones at soldiers and 20 years in jail for throwing stones at a moving vehicle. I am sure if the American people knew exactly how the Palestinians are been treated they would have a change of mind in their blind support for Israel. Don’t get me started about Fox News, they have a complete dislike for the Middle East countries, Muslims and the Clintons. Fox is voting Trump and CNN is voting Clinton. Sorry Jason I have wandered off on another track. I am in the same boat Jason, I recently got into the onshore O&G industry and used oilpro as a good inside look at aspects of the industry I really didn’t know about. I’ve tried searching for something similar, but I can’t find any site that has a similar community input that oilpro had. Any ideas on where things will go, if a new “oilpro” (without the legal issues!) will be forthcoming? We’re all basically having similar conversations, where can we go, what can replace that good news feed? I have my toe in the water in a few places, but they don’t have traction at the moment. Feel free to connect with me on LinkedIn and I’ll let you know what I find. The same applies to anyone else reading this. Click on the LinkedIn button below, that’s my personal one. Mention this article in the connection request pls.